Feeling crafty? See our wide range of hobby tools to help make your projects shine. Whether you are a newcomer to fusing and slumping or an experienced glass artist, CONTEMPORARY FUSED GLASS is an invaluable guide to developing and improving your ability to work with glass in a kiln. 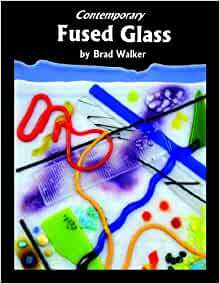 CONTEMPORARY FUSED GLASS, a revised and expanded edition of Brad Walker s CONTEMPORARY WARM GLASS, contains up-to-date information on all aspects of fusing and slumping, featuring techniques and processes for: Basic fusing and slumping projects, such as making coasters, tiles, bowls, and platters; Information on materials for fusing and slumping, from kilns to molds to types of glass and essential safety equipment; Instructions for compatibility testing and annealing, including numerous firing schedules for fusing, slumping, and kiln casting; Information about more advanced techniques, such as inclusions, pattern bars, reactive glass, pot and wire melts, combing, and using drop rings and floral formers; An introduction to kiln casting, using recycled glass, coldworking, and finishing. CONTEMPORARY FUSED GLASS includes hundreds of tips and suggestions, from troubleshooting to health and safety to making your own supplies, stringer, and confetti. This really is the book you need if you are working with fused glass. It us immensely informative. There is some good information in this book, but when it gets into the medium I'm more familiar with at the end (clay), I discovered some rather glaring mistakes and inconsistencies. This makes me wonder about the rest of the book. Also, if you are looking for photos that will inspire you, look elsewhere. This book provides none of that. I wanted if for technical information only, so it's just OK for me. I am an Intermediate glass fuser and have been working with glass since 2008. 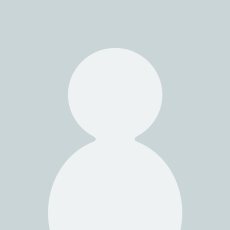 As a novice fuser I purchased many books, some good - some not so good. But once I learned the basics, and did some (a lot) of fusing I was left in a place that I knew what I wanted to learn, but could find no source (or class) that gave me the in-depth answers I was looking for. Contemporary Fused Glass has been the answer. It is not a pretty project book, nor a basic skill book. It gives the reader a little of that but not much. If you are stuck in the "Yeah, now what do I do" or the "why do I do this and what will happen if I change it to that"? Then this is the book for you. It is very well written, easy to understand, and has a conversational tone rather then a list of instructions. It is well worth the money - and an ideal gift for anyone who loves fusing glass. 5.0 out of 5 starsBest book available for learning to fuse glass!! I wish I had found this book before buying several other less-expensive ones on this topic. This book is logical, straight-forward and clearly written. He explains the properties of glass and firing, and explains the reasons for deciding how to make fusing schedules and other important information.He writes in a conversational manner which makes reading it enjoyable. There are lots of photos about techniques, and also photos of stunning master works for inspiration. A 5 Star book! You won't regret this purchase. 5.0 out of 5 starsA great book on fusing glass! I am just getting started with fused glass - and I am glad this is the first book I read. I started with a class at the local glass studio and this book filled in ALL of the corners. Based on this one book, I am confident that I can choose a proper kiln, prepare it, program it, and run it to success. The information on cutting techniques has made my cuts much more successful and consistent, especially on circle cuts. I highly recommend this book as the one to get. It is a little more expensive - and more than worth it! 5.0 out of 5 starsGood information update. Good book. I have Brad's first book and this had some good additional (newer) information. Worth adding to your fusing libreary.